It’s getting crowded out on the edge these days. As society advances at breakneck speed and technology shrinks the world, adventure seekers are forced to head off into the wilder places to escape, unfortunately these days we’re finding less and less room to be alone. 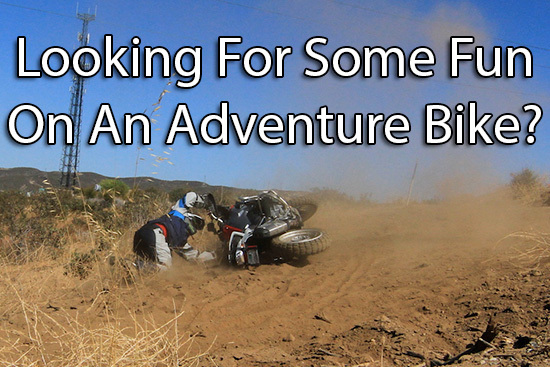 One needs to travel farther, and longer, to find that space, so, for the two-wheeled adventure junky, there is some good news. 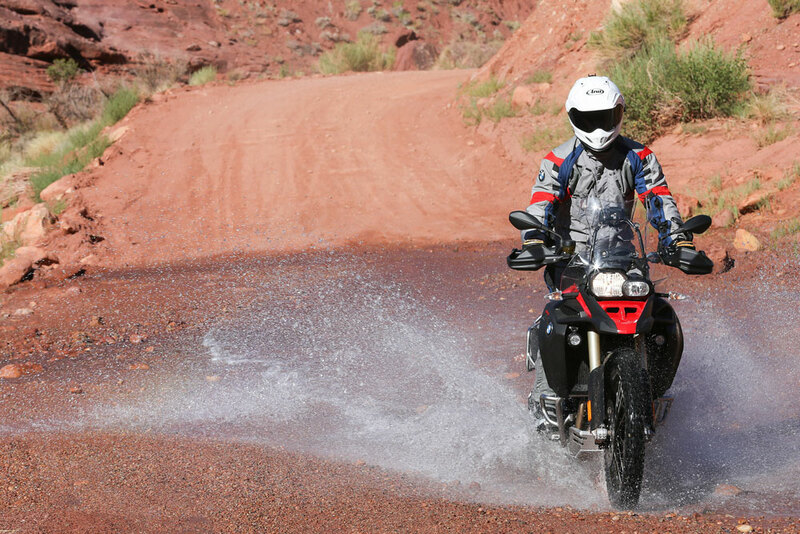 BMW has just introduced a new version of their popular F800GS to help us reach those more remote places, and, in keeping with their existing line of R1200GS machines, it’s called the Adventure. 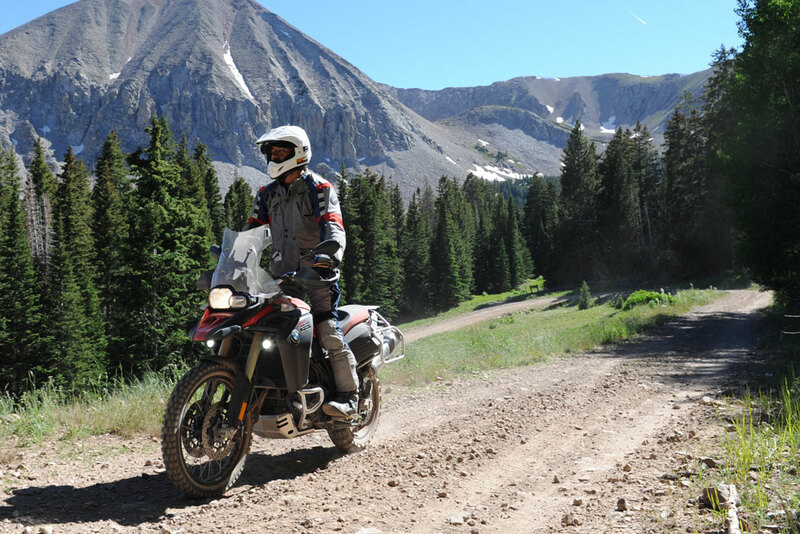 I recently had the chance to put the 800 to the test in Utah so I hopped on the big metal bird to see what all the excitement was about. 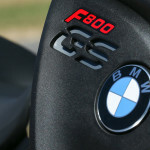 I’m a big fan of the F800GS. It’s been my mount of choice for a mad blast through Peru, and a fascinating odyssey around Namibia as well. 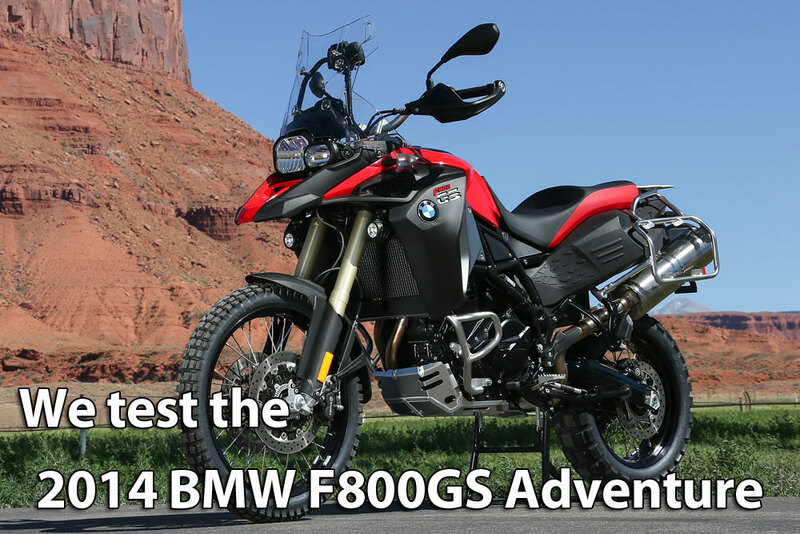 Providing faultless and comfortable service for these missions, it only seems natural that BMW should create an Adventure version, to extend its range, and add more versatility to an already highly capable adventure machine. 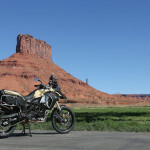 Arriving at the Sorrell Ranch in Utah, it was no surprise that BMW had planned a tough 175-mile route, mostly off-road, through the spectacular mountains to Gateway, Colorado and back. 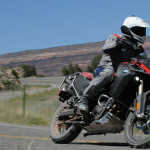 As a motorcycle company with employees who truly live, breathe, and ride their product, it was also no surprise to find a good number of BMW North America staff along for the ride, as they’re all excellent riders, both on and off road. 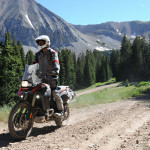 My first impressions as we pulled out onto a smooth stretch of two-lane black top were a little mired from the memory of riding my new Wasserboxer back home in NC, so I was immediately aware of the lack of pick up and grunt from the smaller 798cc parallel twin powerplant. 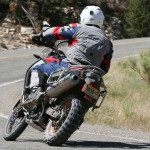 Kicking out a respectable 85 horsepower and 61 ft-lb of torque, it’s still clearly a little anemic compared to the big GS, but once we turned onto the first section of sandy off-road, these thoughts were immediately dispatched. The lighter weight, silky smooth power delivery, and bigger 21” front wheel make it a lot more comfortable for me off road, and all of a sudden, it didn’t need any more power! The stats and figures from the mechanical parts that make it go are unchanged from the standard machine, and for good reason. It’s plenty enough for all applications, even with a 33 pound weight increase over the non Adventure model. It’ll pull easily up a steep rutted hill low in the rpm range in first gear, or happily sit on the highway at 85mph in sixth gear all day. 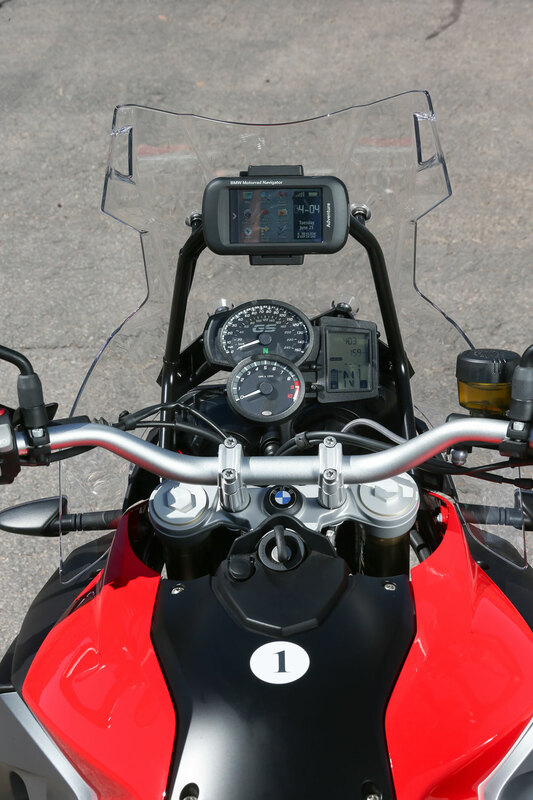 That’s fine dual-purpose versatility, something BMW have excelled at since creating the classic R80GS. 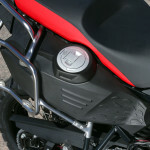 It’s interesting that a good deal of this weight comes from the new fuel tank, which sits under the seat. Extending the capacity to 6.3 gallons has given the bike a realistic range of 300 miles between fill ups, and with the extra weight sitting low and behind the rider, it’s actually given the bike a more balanced feel. 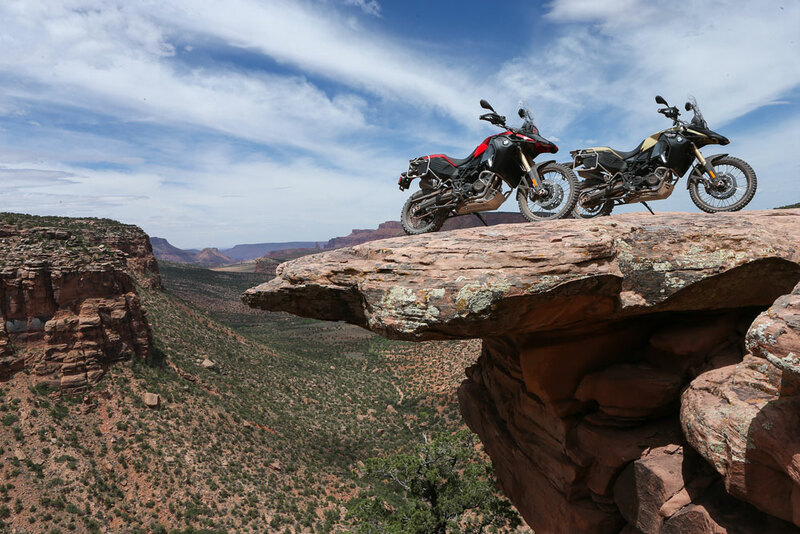 If you’ve ridden a big GS twin off road, you’re familiar with the uncanny balance they exhibit with the two big boxer jugs hanging out on each side. Well, the lower, slightly protruding fuel tank gives a little of this calming effect on the smaller GS when the going gets rough. And it got rough very quickly. Spending a lot of my morning helping my fellow journalist riders pick up their machines, I was certainly riding at the upper end of my skills trying to keep it smooth and calm behind the bars to stay upright. To defend my group a little, we were at the back of the parade, so most of the trail was well torn up when we got there. Think rutted MX track at the end of the day, I was glad of the poise and balance the F800GS exhibited as we negotiated the gnarly terrain. 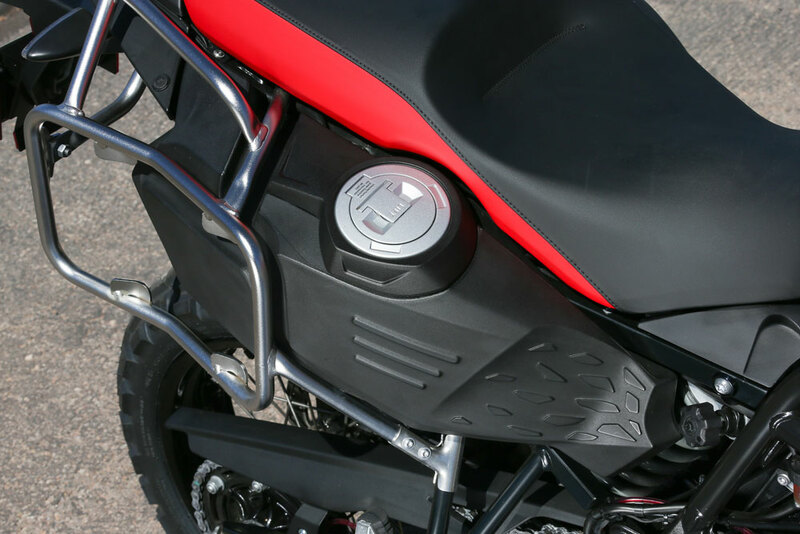 Feather light clutch actuation is a boon as your left hand doesn’t end up cramping, and the sensitive throttle is not so hair-trigger that a small jolt upsets your progress. Suspension is the same as the standard model, and has a useful 9.1 inches of travel up front and 8.5 inches in the rear. It’s very soft and compliant and for our ride I left the Electronic Suspension Adjustment (ESA) in “Normal” mode. You can select from Standard, Comfort, Normal, or Sport. I’m not that gadget minded, so I preferred to pick a happy medium and use what’s left in the cerebral nut basket to concentrate on the road ahead. When the speeds picked up, and the rocks and ruts were the deepest, I was able to bottom out the rear shock, but I had to be enthusiastic enough to be riding beyond my comfort zone before that happened. 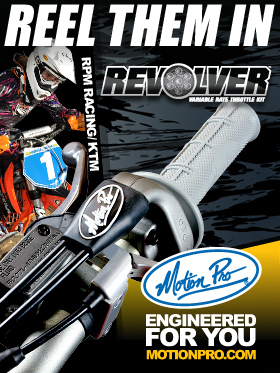 Heavier riders, or those who carry passengers, will surely opt to change to a stiffer spring at some point. Comfort is top shelf and the wider pegs make the GS better for standing. The reach to the bars, and the width of the bike between my legs, made this as relaxed as any big off road machine I’ve ridden. There is a bigger windshield, but with temperatures over 100 degrees there was no appreciation for the extra airflow it was blocking on this day. 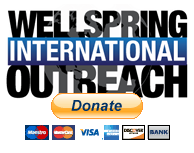 Change to a cold, wet ride and it will be much valued. The seat height on the new Adventure might be a tad intimidating on the spec sheet at 35”, but as a sub six-footer with the suspension taking up some sag I was able to comfortably get both feet on the floor. And again, with the gas tank putting the weight low and behind, there is a comfort and stability feel that gives you added confidence. As with all BMWs, a low seat option is available for those with less inseam; you’ll just lose some of the new padding if you elect to fit this option. 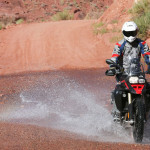 For our test the bikes were fitted with street-legal Continental TKC80 Twinduro off road-biased tires. 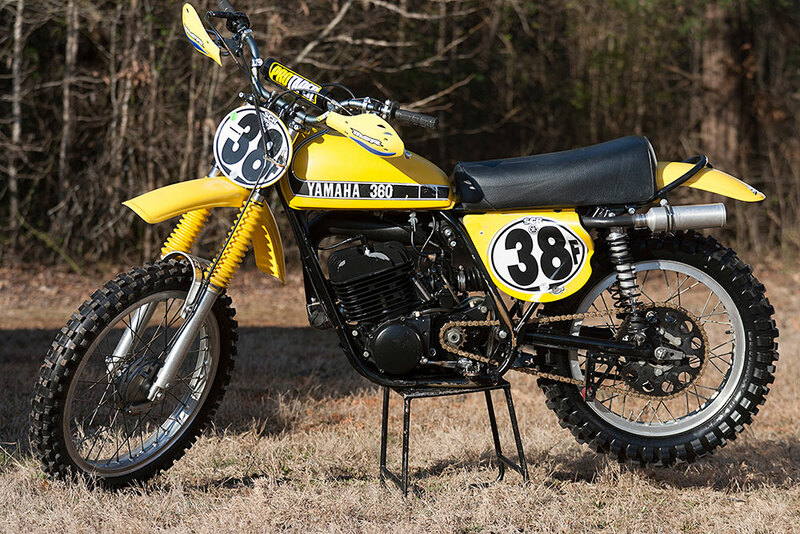 These did a sterling job in the dirt and allowed some spirited riding on road without the accompanying whine of a monster truck with balloon tires in your ear. Our bikes came with front engine guards and the bag mounts double as crash guards on the rear, so there appeared to be little damage to any of the bikes that “went agricultural.” At one point we had some extremely slippery, very steep down hill stretches, and I stopped and switched the ABS to the off-road setting which made me feel a lot more relaxed about some of the corner entrances knowing I couldn’t lock the front wheel. There is also an Enduro mode for the traction control (ASC: Automatic Stability Control) that allows some spin before it cuts power, but I think I prefer my right wrist for this job in the dirt. It’s not horribly invasive if you’re making a climb with some momentum, so it’s going to be a personal preference whether you use it or not. At this point our celebrated photographer, Kevin Wing, came past at speed. Deciding I was too relaxed and looking around too much, I went after him. Minutes later, I found him off the edge of the road with his bike wedged up against a tree, thankfully unhurt. What was amazing was after we extracted the bike was that it barely had a scratch on it and the crash bars had totally done their job. Giving him and the bike a quick dust off, it was time to head for lunch. 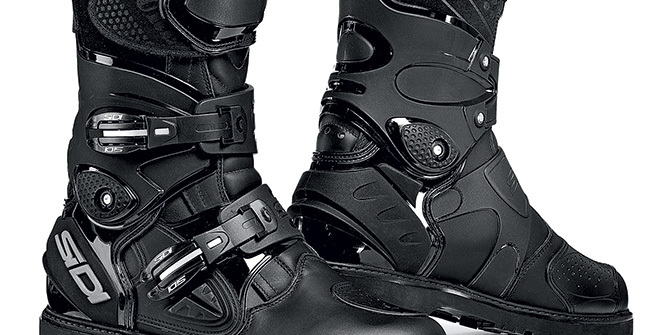 His riding gear was a little second hand and his pride was bruised, but thankfully no other major concerns. I spent a fair amount of the day alone after lunch. My head just wasn’t in the usual “Journalist GP” format of rushing like mad men to the next photo opportunity while risking life and limb along the way. Having ridden through a snowstorm in Yosemite with a broken collarbone one time, I’ve had experience at this sort of behavior. 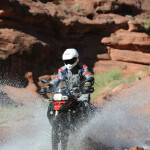 This allowed me to connect with the new BMW F800GS Adventure and get really comfortable. It’s an excellent work platform for rolling through any type of off-road terrain you can imagine. Smooth, relaxed, and well balanced, the slower more deliberate pace seemed to suit us both. This didn’t use up the suspension, put the brakes to task, or use up my concentration to where I couldn’t look around and enjoy the stunning vistas at every turn. 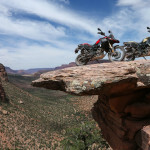 With nearly 300 miles of gas on board, and the ability to carry anything you need for a long journey into the wilds, BMW has just introduced a very worthy motorcycle for the adventure traveler looking for the wilder places.